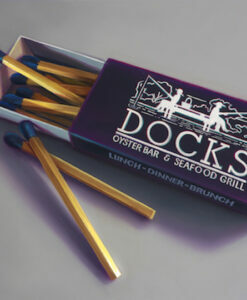 Jim Jackson is renowned as the world’s greatest painter of photorealistic matchbooks of iconic restaurants and resorts from around the globe. 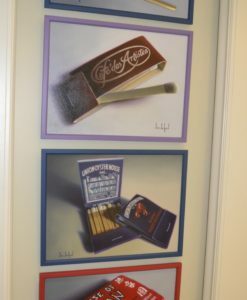 His paintings have been exhibited at galleries and museums around the world as well as in important private collections. 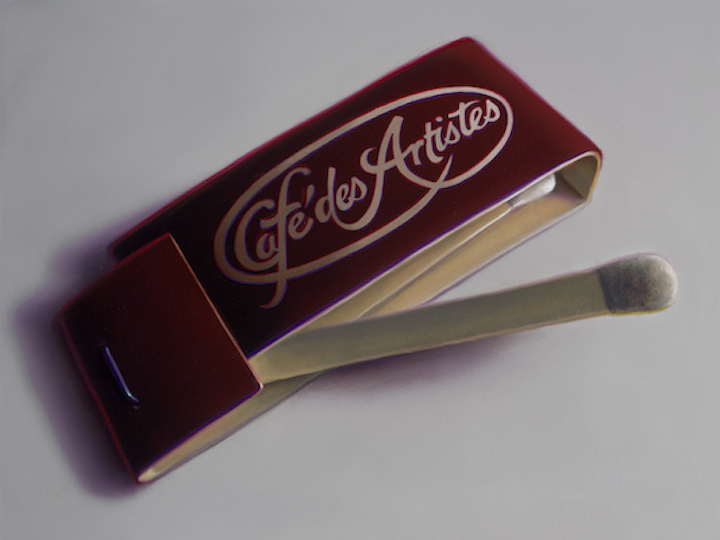 Jim Jackson loved Cafe Des Artistes. 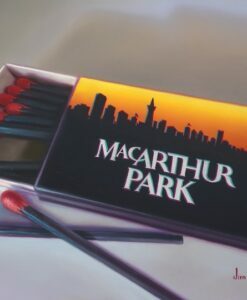 He also loved their matchbooks. Café des Artistes was a restaurant at One West 67th Street in Manhattan and was owned by George Lang. He closed the restaurant for vacation at the beginning of August 2009 and, while away, decided to keep it closed permanently. He announced the closure on August 28, 2009. His wife, Jenifer Lang, had been the managing director of the restaurant since 1990. The restaurant first opened in 1917. Late in 1985, there was a fire in the kitchen, but the restaurant was able to reopen. Café des Artistes was designed for the residents of the Hotel des Artistes, since the apartments lacked kitchens. Artists such as Marcel Duchamp, Norman Rockwell, Isadora Duncan and Rudolph Valentino were patrons. In early September 2009, two years into the Great Recession, Lang announced that the café was closing; shortly thereafter, Lang filed for Chapter 7 bankruptcy protection, claiming debts of nearly $500,000, some of which was owed to a union benefit trust. At the time, he also faced a lawsuit from the Hotel Employees and Restaurant Employees Union Welfare Fund. The restaurant’s famous murals were painted by Howard Chandler Christy, famous American artist who also painted Scene at the Signing of the Constitution of the United States that hangs in the US Capitol. Christy was a tenant of the building, Hotel des Artistes, until his death in 1952. There were six panels of wood nymphs, the first of which were completed in 1934. 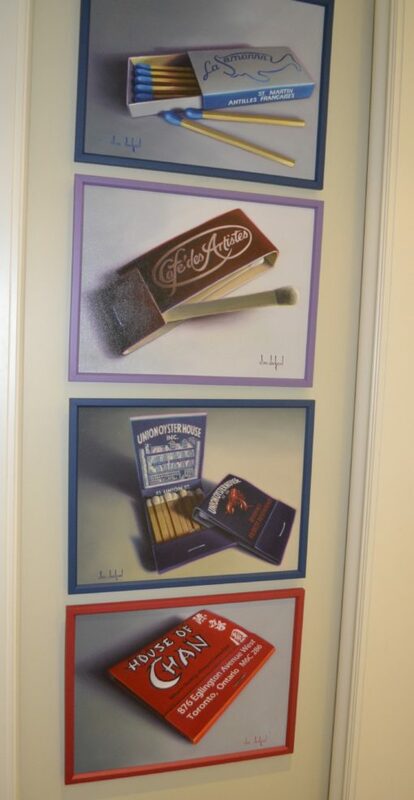 Other Christy works on display included paintings such as The Parrot Girl, The Swing Girl, Ponce De Leon, Fall, Spring, and the Fountain of Youth. The restaurant was featured as a location in the 1993 Woody Allen film Manhattan Murder Mystery. The restaurant was mentioned in The CW television show Gossip Girl. Jack Donaghy asks Liz Lemon to meet his friend, Gretchen Thomas, at the Café des Artistes in the television show 30 Rock. It is the setting for the 1981 film My Dinner with Andre. In the Friends episode “The One With the Bullies”, Monica Geller mentions that she was a sous chef at this restaurant after returning to her apartment from a bad interview.